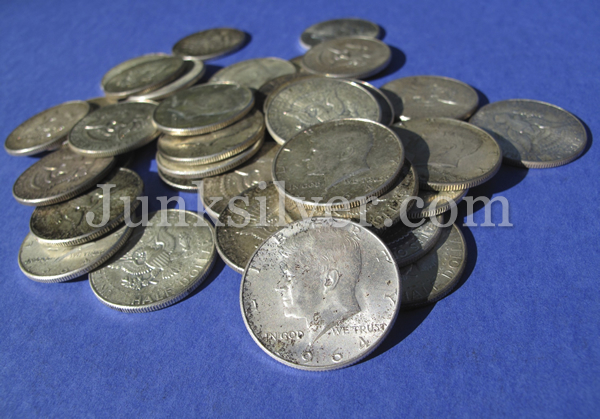 The Kennedy Half Dollar is as historic a coin as any. 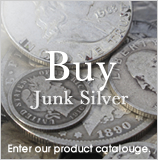 The histories of the American coinage development tell a fascinating and bold story. We learn about the public, the tone of the times and the will of people who feel great emotion about the unfolding of our nation's history. Recording these momentous occasions is the purpose and historic responsibility of our US Treasury. They do this through commemoration on new coins. 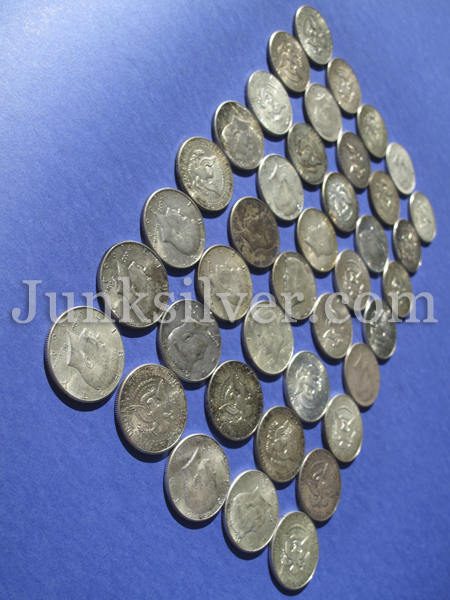 Before 1964, our nation was still producing silver coins. As is common when the sentiment is focused, the public outcry for the commemoration of Kennedy following his assassination in November of 1963 was palpable and unanimous. He was beloved by many. It was Kennedy's eternally youthful face and the fact that this dynamic young president had only been able to serve us for a thousand days before his assassination that seemed to give more energy to the shock and sadness that sparked our nations unprecedented support for the commemoration of his presidency. He inspired our nation with his request of us as a united body of American people; "Ask not what your country can do for you, rather, ask what can you do for your country?" 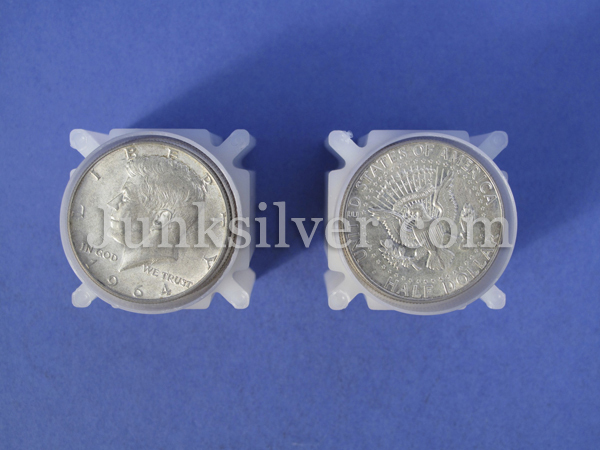 The last silver coin to be produced by the US Mint, the Kenney Half Dollar, holds its value for all of these reasons. There were very few Americans who were not deeply moved by the media coverage of his assassination, funeral and the meaning of events that followed. Our hearts went out to Jackie, and his family. We mourned as a nation. We craved justice for him. Our nation wanted him placed on the common quarter dollar coin, thereby replacing George Washington. This fact highlights how important this commemoration was felt by the public. The idea was halted by Jackie Onassis, however, because she felt strongly that the first president was fitting for the quarter and strongly objected to this bust and design replacement. 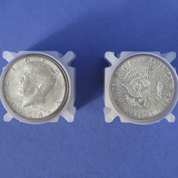 It was for these reasons that we chose to commemorate him on one of our most memorable Half Dollars. The federal government named a number of places and properties of national interest after him as part of this commemoration process. As can be expected, when the proposal was submitted to make a commemoration coin, the response within our nation was predictably overwhelming. 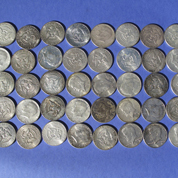 At that time, the US half dollar held a unique place in our America. 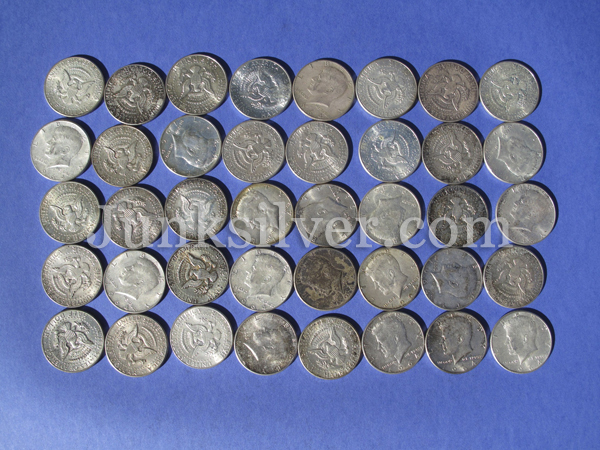 It represented the reality that many more Americans could now afford to make use of the previously out-of-reach half and whole silver dollars. The economy had soared. The great depression was behind us. There was more of a sense of equal opportunity, and some of this was established during Kennedy's short presidency. The people loved him. 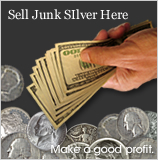 The current US junk silver Half Dollar at that time still bore the bust of Benjamin Franklin. 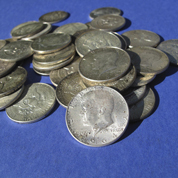 Before 1948 it had held the image of the Walking Liberty design on its obverse. This historic coin seemed the perfect medium to properly commemorate a "man of the people." Kennedy himself had approved of the image before his death, surprisingly enough. 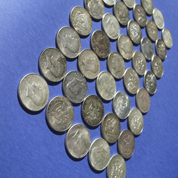 Lyndon B. Johnson in December of 1963 presented the design of the new coin to the public. His announcement assured the public that it would replace Benjamin Franklin's image on a new half dollar and would host his presidential shield on the reverse. Its engraving was immediately commissioned. When the images were reviewed by family such as Jackie and Robert Kennedy, they suggested his image be standing, and that the curls of his hair should be highlighted. Practicality won, the trial strikes showed what worked best and the design was made to augment his hair curls, while his bust, a design created by Gilroy Roberts, of the eternally young and dynamic man was struck on the obverse. Frank Gasparro is who designed the presidential shield on the reverse of the silver coin.